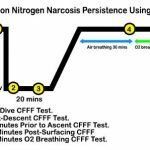 This paper was originally prepared for habitat divers using nitrogen-oxygen mixes, where narcosis becomes a key limiting factor to performance. – Ed. 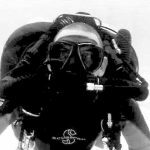 Breathing hyperbaric air causes a syndrome of behavioral and subjective effects called nitrogen narcosis, which limits the work efficiency of divers and is ultimately life-threatening. Table 1 presents the classic view of the progressive effects of nitrogen narcosis based on descriptions in a number of current textbooks (Bennett, 1981; Miller, 1979; Edmonds et al., 1983). This view emphasizes the growing helplessness of the diver to combat narcosis until eventually stupification sets in at 295 fsw. The image of helplessness is reinforced by Cousteau’s well-known description of narcosis as “raptures of the deep” and his accompanying warnings about a loss of self control, which is exemplified by the urge a diver might have to give his mouthpiece to a passing fish. 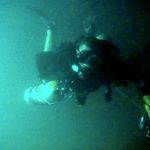 Given the assumption of helplessness, it is not surprising that the usual advice to divers is to avoid narcosis by not descending too deep, or to ascend immediately when symptoms are encountered. This is excellent advice: narcosis should be avoided if possible. On the other hand, this advice is not helpful to those divers who must work while narcotic. The purpose of this paper is twofold. 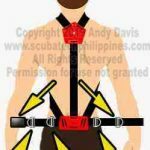 First, to highlight recent advances in behavioral research on narcosis which suggest that it might be possible to develop training procedures to improve the work effectiveness and safety of divers exposed to narcosis. The second purpose is to propose some principles which could serve as a guide for he development of these procedures. For more detail on the experiments mentioned in this paper, the reader is referred to a recent review covering the last fifteen years of behavioral research on narcosis (Fowler, et al., 1985). Recently, a theory called the slowed processing model has been proposed which suggests that, prior to unconsciousness, the primary effect of narcosis on performance arises from a single fundamental deficit in the Central Nervous System. This deficit is thought to be a decrease in arousal which slows responding but does not cause perceptual distortions of either vision or audition. The claim that narcosis does not cause perceptual distortions is counter-intuitive because narcosis typically decreases the accuracy of responding as well as increasing response time on a variety of cognitive, perceptual-motor and manual dexterity tasks. To explain how the slowed processing model accounts for these decreases in accuracy, it is useful to consider an example of the research that is being conducted on narcosis with the hyperbaric facilities at Defence and Civil Institute of Environmental Medicine in Toronto. One of the tasks used to study narcosis is called the Serial Choice Reaction Timer. It consists of a set of push buttons arranged so that a finger can rest comfortably on each one. Adjacent to each button is a light-emitting diode. The task is to extinguish a lighted diode as quickly as possible by pressing the appropriate button. This lights another diode randomly which must then be extinguished and so on for a specified period of time – usually 90 seconds. A computer controls this sequence of events and also records reaction time and the number of times an unlit button is pressed – this is defined as an error and reflects the level of accuracy. Subjects performing this task in a hyperbaric chanber at the equivalent of 295 fsw show an increase in reaction time and in the number of errors committed, but they are not stupefied as the classic view would suggest. Moreover, it turns out that these errors can be eliminated by training the subjects to slow down. In other words, the loss in accuracy can be controlled at the expense of speed. 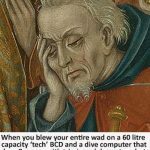 Generally speaking, it appears that this is true for many tasks where a loss of accuracy is not necessarily part of the performance breakdown due to narcosis. To summarize, the slowed processing model holds that decreased accuracy on many tasks is due to untrained individuals working too quickly and being willing to take more risks than usual. 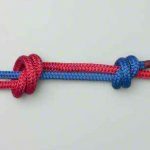 Two training principles are suggested by this research. First, disorganized behaviour is not necessarily part of narcosis and can be overcome by training. Second, errors can be avoided by slowing down. Conversely, when time is at a premium and the diver is hurrying, an increase in errors will be unavoidable. The potential costs of these errors in terms of work efficiency and safety must be weighed against the possible gains. For example, it might be acceptable to hurry and make an assembling a piece of apparatus. It would not be acceptable to hurry and make an incorrect decision resulting in loss of orientation with respect to an anchor or guideline. Tasks involving long-term memory and learning are one area where slowed processing model is unsuccessful in explaining decreases in accuracy by a failure to slow down. Narcosis causes forgetting which can be so severe that it was evident to early observers. Even before World War II, it was noticed that, after surfacing, divers were unable to recall all the events that had taken place under water. More recently, research has demonstrated another effect. During a dive, Material learned beforehand may not be recalled. Quite clearly, these forms of amnesia raise a number of potential problems. During the dive, there is the possibility of forgetting previously learned instructions and the learning of new material will be impaired. This latter effect will contribute to difficulty in solving new problems. After surfacing, events during the dive may not be recalled. Two training principles could be employed to counter these amnesic effects. First, the diver should rely on memory as little as possible. Second, when memory must be relied on, the material should be highly over-learned and memory cues used to minimize forgetting. 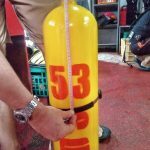 Examples of procedures relating to the first principle include preparing and using a check-off list which details every stage of the dive and recording all interesting observations during the dive. With respect to the second principle. 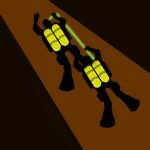 divers must over-learn any emergency procedure which is to be executed quickly in a precise sequence. In addition, an obtrusive alarm system should serve as a cue for critical items, such as bottom departure time. The term “raptures of the deep” was coined to highlight a striking characteristic of narcosis – the subjective sensations of euphoria which may induce rash behavior. However, the point was made earlier that divers can be trained to act rationally under narcosis. One may feel euphoric without necessarily acting these feelings. The emphasis on euphoria has obscured the fact that there are other subjective sensations induced by narcosis. These have been documented by asking experienced divers to identify adjectives describing their feelings. In all, four clusters of adjectives have been identified. These relate to euphoria (e.g., more carefree and cheerful), consciousness (e.g., more fuzzy and hazy), work capability (e.g., less effective and efficient) and inhibitory state (e.g., less cautious and self-controlled). For training purposes, it is important to note that, apart from inducing rash behavior, subjective symptoms have the potential to influence performance in two ways. First, performance may be disrupted because the diver pays attention to the internal sensations of narcosis at the expense of maintaining concentrations on the environment and the task. 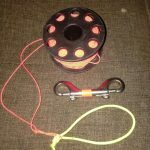 This is because a fairly strong relationship has been demonstrated between subjective ratings of the severity of narcosis and the degree of performance impairment. It should be noted that this study was performed under ideal conditions in a dry hyperbaric chamber and possibly these results could not be replicated under water. This is because a variety of other factors, e.g., cold, anxiety and fatigue, could all produce sensations which might mask narcosis. The potential influence of the subjective symptoms of narcosis on performance suggests three training principles. First, the diver must become familiar and comfortable with the sensations of narcosis. Second, the diver must learn to allocate attention between the task and the symptoms of a manner appropriate to the situation. The object here is to prevent a performance deficit due to inattention, but at the same time, not to ignore the symptoms entirely. The reason for not ignoring symptoms becomes apparent in the third principle. This states that a diver should be taught to use the intensity and type of symptoms to estimate performance capability. 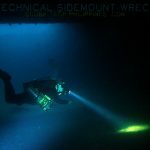 For example, in the event of inadvertently exceeding the depth limit during an excursion dive, subjective symptoms could be the first warning if the development of a life-threatening situation. It is generally agreed by divers that frequent exposure to narcosis leads to adaptation. The problem is that research on this question has not clarified what kind of adaptation is taking place (Fowler, et al., 1985). There is some evidence of adaptation that is specific to narcosis. This means that, over successive exposures, performance under narcosis improves at a greater rate than a surface control – this is true adaptation. On the other hand, this kind of adaptation has not been found in some experiments where the improvement in performance is identical for narcosis and the surface control. This is a case of non-specific learning, but it is important to note that there is still an improvement in performance under narcosis,. Figure 1 illustrates these two cases. Three conclusions are suggested by these results. First, true adaptation to narcosis may occur but only under certain circumstances which are not presently understood. Second, it is possible that divers may sometimes mistake non-specific learning for true adaptation. Third, it is not clear what the relationship is between the adaptation of subjective symptoms and the adaptation of objective performance. It is possible that divers may be basing their opinions about adaptation largely on subjective symptoms. To date, researchers have ignored this possibility and focussed on measuring the adaptation of objective performance. It is clear that a good deal more research is required before the issues raised here about adaptation are resolved. 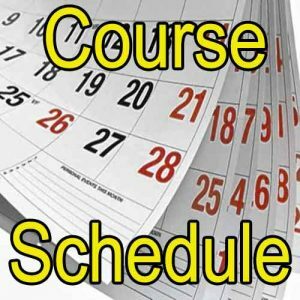 In the absence of clear-cut research results, it is difficult to offer specific training principles which take advantage of adaptation or non-specific learning. 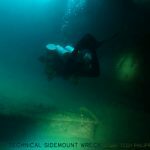 Until these results become available, a generally useful training principle is to provide the diver with as much practice as possible prior to the dive on the tasks to be performed under water. 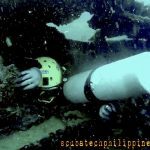 If these tasks can be practiced under narcosis prior to the dive, so much the better. 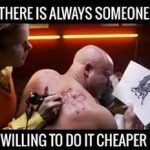 There are some techniques which might be useful for this purpose, but it is beyond the scope of this paper to discuss them. The eight training principles which have been proposed are aimed at controlling and possibly ameliorating the effects of narcosis when it cannot be avoided. Underlying these principles is a view of narcosis, expressed in terms of the slowed processing model, which differs from that presented in current textbooks. However, it must be emphasized that these principles are only tentative and must be tested by controlled research. 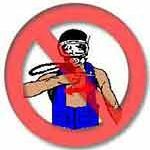 There is definitely no suggestion that current maximum depth guidelines for sports divers should be violated. Finally, for the purposes of this paper, the whole question of predicting performance in the underwater environment has been over-simplified. There are a variety of other stressors which coexist with narcosis and which, in combination with it, have the potential to place severe limits on performance. These include hypercapnia, cold, anxiety, perceptual disorders and weightlessness (Fowler, et al., 1983; Godden and Baddeley, 1979). This has been demonstrated clearly in the case of anxiety (Baddeley and Fleming, 1967), but information about other combinations is virtually non-existent. If deep diving on air is to be carried out with a maximum of safety and efficiency, training procedures must not only be guided by the effects of narcosis on performance, but also by the effects of any additional stressor which may be present in combination with narcosis. Barry Fowler, Ph.D., is one of the leading researchers in the field of inert gas narcosis. He can be reached at York University, 4700 Keele Street, New York, Ontario, M3J 1P3, Canada. Baddeley, A.D. and Flemming, N.C. (1967). 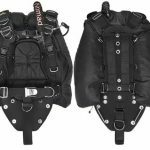 “The Efficiency of Divers Breathing Oxy-helium.” Ergonomics 10, 311-319. Edmonds, C., Lowry, C. and Pennefeather, J. 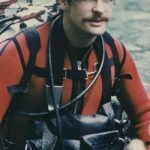 (1983) Diving and Scubaquatic Medicine. (Revised second edition). Chap. 9. Diving Medical Centre, Mosman, NSW. Godden, D. and Baddeley, A. (1979). “The Commercial Diver.” In: Compliance And Excellence. The Study Of Real Skills. Volume 2. (W.T. Singleton, ed.). MTP Press, Lancaster. Miller, J.W., ed. (1979). 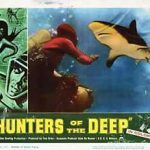 NOAA Diving Manual. Diving For Science And Technology. (Second edition). Sections 2-20-2-23. U.S. Government Printing Office, Washington, D.C.
Pilmanis, A.A., Given, R.R. and Borgh, B.C. (1984). “Unique Design of the New NOAA/USC Saturation Diving System.” Proc of Oceans. September 10-12. TABLE 1: A summary of the classic view of the progressive effects of nitrogen narcosis. 6ATA (164 fsw) Sleepiness, hallucinations, impaired judgement; laughter and loquacity may be overcome by self control. 8ATA (230 fsw) Convivial group atmosphere, severe impairment of intellectual performance, uncontrolled laughter or terror reaction in some. 10ATA (299 fsw) Stupifecation, mental abnormalities, euphoria, almost total loss of intellectual faculties. Figure 1. True adaptation to narcosis is illustrated in the top figure and non-specific learning in the bottom one. It is assumed that learning is occuring on the task but adaptation could occur without learning. • Disorganized behavior is not a necessary part of narcosis and can be overcome by training. Errors can be avoided by slowing down. • Divers should rely on memory as little as possible. When memory must be relied on, the material should be highly overlearned and memory cues used to minimize forgetting. 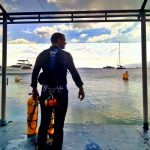 • Divers must become familiar and comfortable with the sensations of narcosis, and learn to allocate attention between the task and the symptoms in a manner appropriate to the situation. 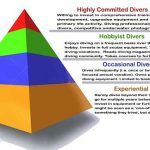 Divers can l;earn to use the intensity and type of symptoms to estimate performance capability. 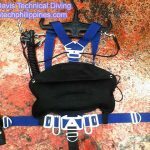 • Divers should practice as much as possible prior to the dive on the tasks to be performed underwater.